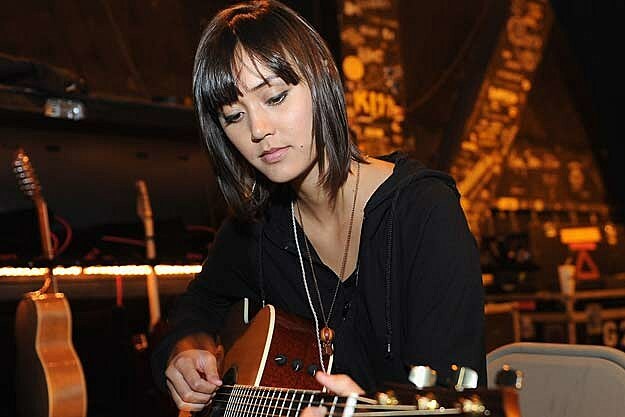 I find it hard to believe that Dia Frampton doesn’t have anything to do with rock immortal Peter Frampton, but I haven’t uncovered anything yet. Be that as it may, this is some really good stuff. A nice ethereal voice, with sorrowful piano followup up by some booming drums. I loved all 3 songs on my Feb 2017 AllMusic Editors’ Choice playlist (you should listen - 130 songs almost 9 hours!) and so I can’t wait to listen to the rest of her album Bruises. This is her second album, after a 5 year hiatus full of disappointment and heartbreak, which she channels into her music.